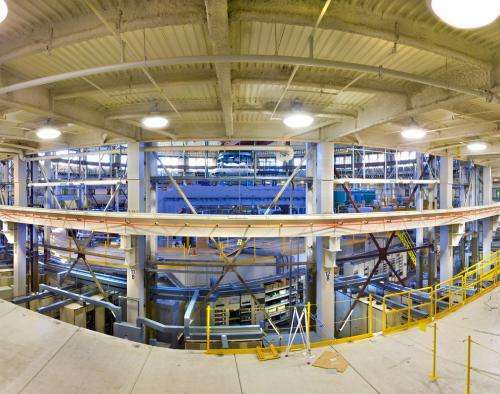 Storage ring and beamlines at Berkeley Lab's Advanced Light Source (ALS). Credit: Roy Kaltschmidt, Berkeley Lab. Mathematics is the ultimate scientific tool. For centuries it has been used to describe the forces of nature, from planetary motion to fluid dynamics. It helped unlock the secrets of DNA and unleashed the Digital Revolution. Today, in the age of high-resolution detectors and international research collaborations, math again has the potential to transform science and accelerate discovery. But this work will require state-of-the-art mathematics, carefully crafted in inventive new ways. That's where the Department of Energy's new Center for Applied Mathematics for Energy Research Applications (CAMERA) at the Lawrence Berkeley National Laboratory (Berkeley Lab) comes in. This effort brings together applied mathematicians, computer scientists and experimental researchers to devise new models and algorithms for tomorrow's scientific technologies. "Because Berkeley Lab has a long-standing tradition of excellence in applied mathematics and computing sciences, is home to six national user facilities and is located next to the UC Berkeley campus, we're ideally situated to successfully lead an effort like CAMERA, which brings together a range of experts to solve some extraordinary problems," says David Brown, Director of Berkeley Lab's Computational Research Division. As detector technologies used in facilities such as Berkeley Lab's Advanced Light Source become ever more powerful, the scientific data that they collect also become more complex. CAMERA researchers are working on new algorithms for analyzing, reconstructing, inter-comparing, simulating and visualizing this information so that researchers can find patterns and connections that may lead to (and accelerate) scientific breakthroughs. James Sethian: Head of CAMERA and Berkeley Lab's Mathematics Group. Sethian is also a professor of mathematics at UC Berkeley. In the area of materials science for instance, CAMERA researchers are developing techniques to analyze samples and potential new materials. They will then apply these tools to steer experiments toward the optimal design of new materials. Researchers note that novel methods for electronic structure calculations and innovative ways to evaluate material properties and characteristics are crucial to doing this work. "This isn't just a big data problem. There is a growing realization among scientists that we can't just continue to store everything. We need to think very carefully about what to keep and how to keep it," says James Sethian, who heads CAMERA and Berkeley Lab's Mathematics Group. He is also a professor of mathematics at UC Berkeley. To achieve this, he notes that CAMERA is also creating new mathematical methods to help researchers as they are collecting and storing experimental data. This includes computational tools that can analyze the data on the spot and extract interesting features, which in turn allows researchers to shape their experiments on the fly, and effectively make use of their limited allocation at user facilities, which are shared-resources. These collaborations are also building advanced algorithms for special-purpose hardware that will be incorporated into future user facilities. "Existing computational techniques are often tailored to specific needs, and in some cases these approaches may have reached their limit, and cannot easily be extended to complex problems with different requirements," says Sethian. "Our aim is to widen the perspective and devise the new mathematics required to build novel computational tools, and to carry these inventions into everyday use at facilities around the world." Before CAMERA, a prototype collaboration supported by the Laboratory Directed Research and Development (LDRD) program at Berkeley Lab successfully brought applied mathematics expertise to tackle challenges identified by scientists at DOE's Advanced Light Source (ALS), Molecular Foundry and National Center for Electron Microscopy (NCEM). The effort led to more than 30 published papers, just in the last four years. 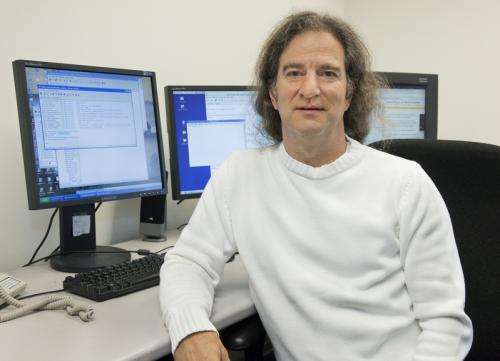 They worked algorithms and mathematical methods for designing new materials, analyzing X-ray scattering data faster, optimizing image analysis of diverse materials and reconstructing X-ray nanocrystallography data. These efforts laid the groundwork for CAMERA, which is both continuing these efforts and rapidly expanding into new areas. "There has been an explosion of new mathematical technologies, which have broken down traditional boundaries between discrete math, continuous math, partial differential equations, statistics, graph theory, computational harmonic analysis, etc… and they are all merging together to help us understand how to approach some of these problems." says Sethian. "That's why this is such an exciting time for mathematicians and experimental scientists."